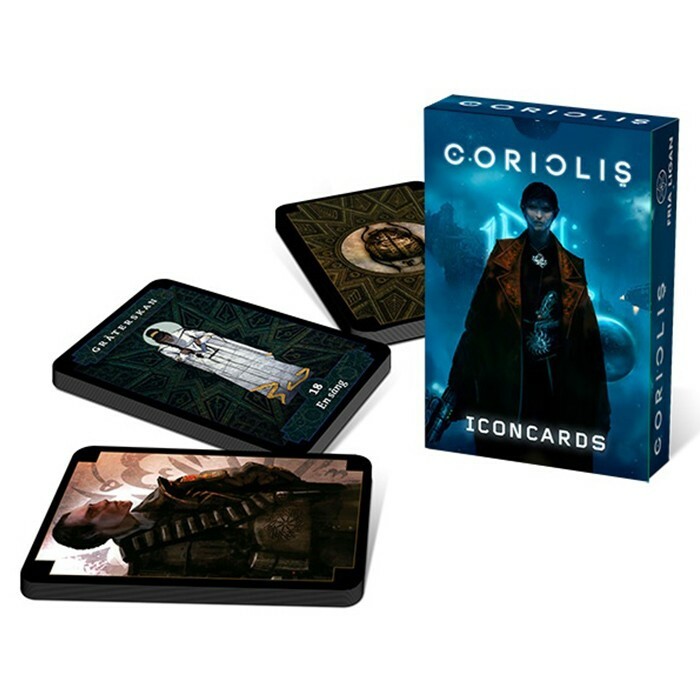 This Icon Card Deck lets you summon the mysterious Icons directly in your game of Coriolis - The Third Horizon. With this deck, you can foretell the future, create scenario seeds, determine combat initiative, emulate dice rolls, manage your ship crew positions, and more. The deck includes 36 Icon cards, 12 NPC cards and 5 ship crew cards.